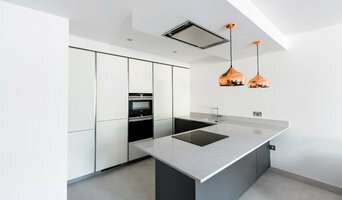 LWK Kitchens are a design-led German Kitchen specialist based in London with 2 luxury showrooms, newly refurbished for 2019. We supply a very high standard of service based upon the principals of professionalism, honesty, diligence and intimate design knowledge. All of our specialist team of people are extremely committed to this ethos; allied with our extensive range of high quality kitchen products this means we can offer our clients a first rate experience. Aside from German kitchen furniture we also specialise in Siemens, Neff and Miele appliances; we are currently one of the only Siemens approved IQ700 Design Studios in London. Designers of beautiful, bespoke, German and Italian kitchens of the highest quality. Serving Greater London and the South East. Our philosophy is one of elegance; to provide a comprehensive kitchen design and fitting service, within budget, without any fuss. 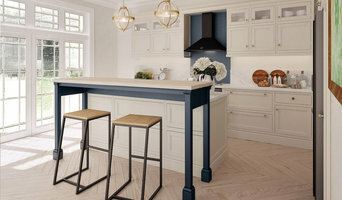 The Jalali family have been in the Kitchen Design business for over 20 years, and Sandy and his team adopt the family philosophy that client satisfaction is their top priority. Freedom Construction is professional building company in London. We are specializing in kitchen extension, loft conversion, basement conversion and full refurbishments. We are also manufacturing traditional kitchens, traditional sash windows and doors, build-in wardrobes. Vi jobbar med inredningsdesign mot privatpersoner samt restauranger, hotell och kreativa kontor. 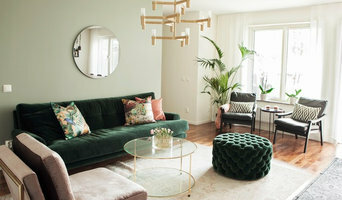 Vi samarbetare även med en byggfirma och projektleder omplaneringar och renoveringar vid behov och sätter designspåret tillsammans med kunden. A second generation family company, C & C Kitchens has been designing and installing quality kitchens for almost 20 years. Whether it be for architects, interior designers, developers or private clients, our attention to detail will make the whole process of creating your new kitchen enjoyable and stress free. Experienced knowledgeable staff will guide you through the myriad of choices available from our selection of beautiful kitchens. We offer quality German and English products at sensible prices, bought direct to you from the best manufacturers in Europe. Prestige Home London is a hub of kitchen planning and designing that specializes in the art of preparing the initial designs for your kitchen and assists you till the final installation of the products. With our expertise in providing a range of contemporary and modern kitchen designs, we ensure that our quality standards are reflected from our craftwork and the furniture items. We feature high quality materials and fittings to give a refined final touch to your kitchen products. Our designer kitchens ranges from modern to traditional and even shaker style offers such endless versatility ,that you will be spoilt for choice after taking a glimpse at all. We Love Pure Water company in London that has exclusive rights to market and sell in UK and other territories probably the world’s best residential and slight commercial water purifiers. The water purifiers, which are made in Sweden, are unique in that they harness patented second-generation reverse osmosis, which allows them to deliver an unmatched direct flow of water (no holding tank) from a kitchen tap and also to slash traditional water wastage associated with RO systems by up to 82%. The higher end units also can handle brackish water with no problem at all. e/booster limited has over 15 years experience in ecommerce and customer satisfaction. In 2014 we launched our My London Souvenirs Brand. We are pleased to offer our full range of London and British themed magnets, keychains, money boxes, flags, sporting apparel, vintage military surplus clothing and much, much more to our loyal customers across the 28 EU countries, and around the world. A portion of our items are available for corporate volume discounts and / or branding. We supply full VAT invoices (on request). Suppliers of original refurbished antique timber refrigerators. NJK Interiors is a family company, which started in 1992, based in Surrey. 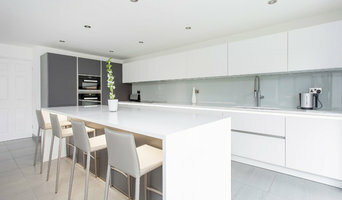 We have 25 years experience in designing and fitting kitchens, bedrooms, bathrooms and studies and have three showrooms in Woking, Frimley and Guildford. The business has gone from strength to strength, now employing 25 people and with three showrooms, overseeing an average of 10 installations per week. Having been trading for more than 20 years, we have a huge amount of previous experience and have come up against every imaginable situation. Many of our customers have moved house and are now on to their second or third refurbishment. Often customers start with the kitchen, then move on to the bathrooms and bedrooms. We work hard to satisfy, to ensure the future recommendations of our clients. Buying a new kitchen, bathroom or bedroom can be a daunting experience with so much on the market but we believe our success is down to our commitment of offering our customers unrivalled service, quality and value for money. At Not Just Kitchen Ideas we endeavour to make that process as straight forward as possible offering you a helping hand every step of the way. With everything under one roof, we can offer a complete package from design through to completion. Our objective is to continue to evolve as a company and as a group through ongoing product development and the adaptation and improvement of our products to provide new, better solutions for the needs of distributors, installers, builders, developers and trade professionals who all share our vision of the great central vacuum project. Customer support and a personalized service attuned to the customer’s specific requirements remain fundamental to achieving our vision. If you’re struggling to find home appliances from your local department or electrical store to fit with your design, browse through the Cobham, Surrey appliance professionals Houzz lists here. From ovens and ranges to wood burning stoves and vacuum cleaners, there are appliance retailers offering all sorts of home convenience items. While you probably know what type of appliance you’re looking for, installing it could be another matter. With toasters, microwaves, blenders, vacuum cleaners and other plug-in and play devices, you may not need much help, but ovens, wood burning stoves, range cookers and extractor hoods will need more work. Finding an appliance installation professional in Cobham, Surrey on Houzz will mean they will handle the complicated setup of your appliance without you having to worry about confusing instructions and dealing with gas plumbing. You can find trusted appliance brands on Houzz for products that you can rely upon time and time again, but sometimes you may be after a unique item that can’t be found in every other kitchen. Browse through Houzz’s selection of Cobham, Surrey appliance professionals to look at the bespoke and exclusive appliances that are made and produced by Cobham, Surrey appliance retailers. A professional can also advise you on the latest technology that’s available for various appliances; whether that’s a fridge with extra gadgets and features, superb surround sound systems or super-powerful but eco-friendly vacuum cleaners. We can all become very reliant on certain, trusty appliances, so when they die on us it may seem sacrilege to throw them out and find a replacement. Instead, look for Cobham, Surrey domestic appliance repairs professionals on Houzz who can fix your electrical appliances for you. Oven, dishwasher or washing machine repair may be cheaper than buying new items, depending on what the problem is, so always ask an appliance repairer in Cobham, Surrey first. Some appliance professionals may want to work closely with Cobham, Surrey builders, kitchen installers and interior designers, among others, to ensure your appliances fit with the building and interior design. Here are some related professionals and vendors to complement the work of appliances: Kitchen & Bath Fixtures, Kitchen & Bathroom Designers, Kitchen & Bathroom Fitters, Specialist Contractors, Main Contractors. Find a Cobham, Surrey domestic appliance repairer, installer or seller on Houzz. Narrow your search in the Professionals section of the website to Cobham, Surrey appliance retailers. 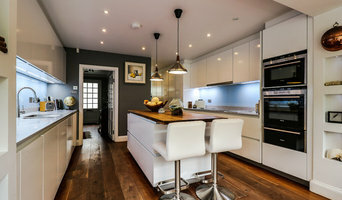 You can also look through Cobham, Surrey photos to find examples of rooms with appliances you like, then contact the professional who worked on them.